Minnetonka driveways sit on clay. The soil composition of clay prevents it from draining well. Clay holds moisture and can lead to heaving during the winter freeze season. In areas made predominately of clay, it is extremely important to put down a solid sub base under the driveway. Metro Paving Inc.’s standard clay soil driveway consists of 6″ of class 5 gravel for the sub-base with a 3″ layer of asphalt. Our attention to the type of soil we’re building driveways in help Metro Paving Inc install strong driveways that will last for years to come with proper maintenance. 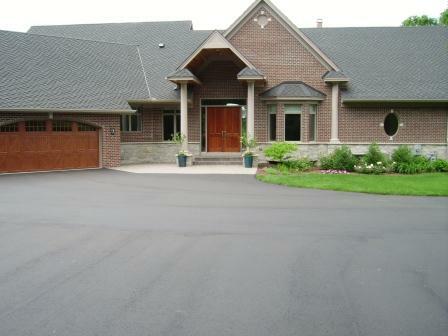 Learn more about driveway maintenance here. To learn more about driveway paving in the Minnetonka, MN area, or to get a free driveway quote, please call 763-428-4121 or fill out the driveway estimate request here. We look forward to working with you on your driveway project! Read what others are saying about Metro Paving Inc’s driveway construction and maintenance.